Do you know how to write a catchy title and introduction to your article? Writing a catchy title and introduction to an article can be the most challenging part of preparing a written piece. When used effectively, the title and introduction together can be a hook to capture the readers' interest and encourage them to continue reading. Each one of these parts of the article should be addressed separately, since they really are two different entities. When you are writing an article, don't feel that you need to start at the title and work your way down to the conclusion. There are many ways to approach article writing, and some people find it helpful to work on the body, or meat, of the article first before moving back to the title. This approach makes good sense, since the article title should reflect what the writing is about. If the title and the content don't match, the reader is likely to feel that he or she has been misled about the article's content. Avoid this type of scenario; the last thing you want is to have a reader discount the content of your article due to a poorly constructed title. How can you find a catchy title? Consider the main theme of your article and use it for inspiration. Pick out or write a brief phrase that sums up your content and use it as your title. Is your topic one where certain buzzwords are used? They can be used in the title if you wish, but you will want to avoid using industry terms that would not be clear to your anticipated audience. Another good strategy to use when coming up with titles for an article is to take a key word or phrase and check to see if it has been used in any famous quotes. There are lots of websites with a searchable database of sayings, and you may be able to get inspiration from one or more of them. Keep your article title relatively short. 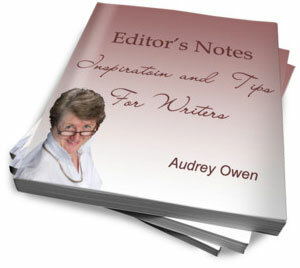 Use only as many words as you need to give the reader an idea of what awaits him or her in the content of the article. If your topic is large enough that you need more than a handful of words for your title, consider adding a subtitle to provide more information. The latter choice is not always used, but it can be effective in cases where you are writing about a very specific aspect of a general topic that you wish to define for the reader. After the title, the introduction is one of the most important parts of your article. You will want to let the reader know which points you will be covering in your text. A well-written introduction also helps to keep you on track as a writer. As you are preparing the piece, you can refer to the introduction to insure that all the points you want to make are well covered. A simple way to write an introduction to an article is to take the main ideas you will be addressing and include them in a thesis statement. This is simply a list of what you will be covering in the article. If you are writing about the three best things about owning a pet, your thesis statement would be something like: "The three best things about having a pet of your own are [X], [Y], and [Z]." Each item on the list will correspond to a paragraph that will follow in the body of the article. The thesis statement way of setting up an introduction can also work if you are writing a longer article. Instead of listing a few short phrases, you can take each point you will be covering in your article and write a sentence about it. This approach will help you craft your article, since you will be able to set out a good flow of ideas for your reader, and you can refer to it if you feel that you have gotten off track. Colin Ollson is associated with Dissertationwritings.com, a company that provides online thesis and dissertation writing help. In his free time he likes to spend time playing a guitar and traveling. Return from How to Write a Catchy Title and Introduction to Your Article Articles on Writing. 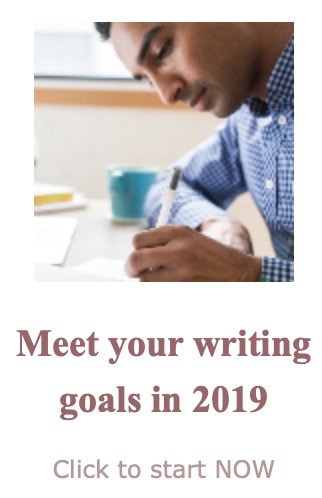 Wondering about your writing? Get your own sample edit.